Discounted prices listed are only available to . Linux option available by adding "L" to the end of A-Series and Z-Series part numbers. Select and Elite dealers only. Select a category for options. Updated Z-Series server description to include 5 years of software updates and removed SSA-EVIP-01 and SSA-EVENIP-01 from its options list. Pricing updates to some ELP and M-Series NVRs. Pricing updates to all A-Series and Z-Series NVRs. Pricing updates to all S-Series storage servers. Pricing updates to replacement HDD part numbers and some NVR option part numbers. Z-Series and S-Series refreshes released. Options have changed. All software part numbers outside of the SDK/API items have received a price increase. Front Load A-Series part numbers released. Internal read/write DVD drive for 2U Z-Series servers has been discontinued. A-Series CSA option description updated from 8GB additional RAM to 12GB additional RAM. GBP and EUR 3 tiered pricing updated. 5000-20030 compatible with the LC-Series servers. Description now reflects that. 5000-40342 is not compatible with the R2A Quad NIC option. Description now reflects that. Pricing reduction on NVRs with storage greater than 36TB. Larger capacity systems introduced with 8TB, 10TB drives across the A-Series, Z-Series and S-Series families as well as 12TB drives in the Z-Series and S-Series families. Old 2UZ and 2US builds discontinued. New 2UZ and 2US builds activated. 2 Channel Professional and 4 Channel Professional Activation cards Discontinued and no longer available for purchase. Generation 3 Illustra Essential 2MP bullet released. Operating Systems updated from Win7 and Ubuntu Linux 14.04 to Win10 and Ubuntu Linux 16.04. Added 3MP Illustra Flex Generation 2 and their accessories. Added Illustra Pro fisheye mount. Illustra Pro 12MP Fisheye discontinued. Illustra Pro 12MP Fisheye, Generation 2, added. Illustra catalog and exacq catalog now match. New Illustra price list applied to Certified Plus customers. 4U A-Series descriptions modified to remove "DVD-RW" as builds have changed. 2U A-Series descriptions modified to remove 'DVD' as builds have changed. 5000-40217 and 5000-40147 are incompatible together. Their descriptions now state that. Z-Series descriptions modified to remove 'DVD' as builds have changed. Illustra Flex cameras description update. Dual 10Gbps NIC option (5000-40152) description modification - "Dual SFP+ sockets with two MMF adapters included" removed. 5000-40154 and 5000-40342 are incompatible together. Their descriptions now state that. Analog SSAs and Upgrades removed. -Available for Select and Elite dealers only. Z-Series 3U IP servers obsolete. Illustra Pro 2MP Mini-Domes released and most Illustra Pro 600/610 Mini-Domes set to obsolete. 48 input 4UZ and 64 input 4UZ price changes for GBP and EUR. Slight price increase on select Illustra models. NIC options added and existing NIC descriptions modified. Price change with 72T & 78T 16input 4UZs. 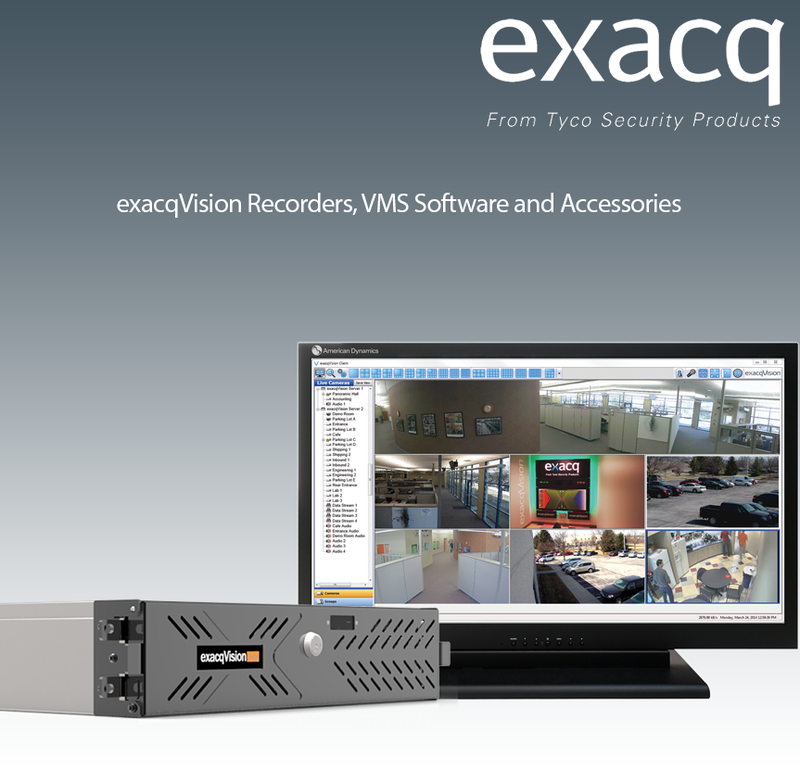 exacqVision Fail Over licensing made permanent. Illustra 30x PTZ cameras added. New formula used for discounting. New layout for Illustra cameras and their accessories. Removed TRAINING-LVL1 and TRAINING-LVL2 from the catalog. 1MP and 2MP Illustra Essential domes and bullets added. Illustra Essentials mounting accessories added. Exacq hardware price reduction. Removed Enterprise per server item numbers and replaced with Enterprise per camera item numbers. Added Illustra Pro LT 2MP bullet and accessories. S-Series professional removed from the catalog. Specific Illustra items reduced in price. Next generation ELP-series part numbers added and old ones deleted. Modified Linux version for A and Z series. Added 6T A series item numbers. Added Illustra Edge part numbers. Next generation A-series part numbers added and old ones deleted. Added new Edge/Edge+ part numbers, obsoleted old Edge part numbers. Added new Start - Pro upgrade bundles for LC series. Added new Z-series recorders and options, removed old Z-series part numbers. Added E-Series part numbers to Options and Accessories. Added 5000-50200 USB Input/output module. Updated GBP and Euro price lists. New Z series models added with increased storage capacity, up to 32TB on all 2U models, 64TB on all 3U models, up to 80TB on all 4U models. Updated descriptions of 4U Z Series for new CPU, monitor outputs and hybrid capture card specifications. Affects 1608-48-xxxx-R4HZ, 3208-96-xxxx-R4HZ, 4808-144-xxxx-R4HZ, 6408-192-xxxx-R4HZ and IPZ08-xxxx-R4 series servers. Added new 8 and 32 channel desktop servers, part numbers 0804-24-xxxx-DT and 3208-96-xxxx-DT. Obsoleted all 120 IPS hybrids. Affects all 1608-12, 3208-24 and 0404-12 series servers.